My name is Laura Burger and I love to scrapbook and design. Actually, I have been scrapbooking for about 15 years - 9 of those years were with paper products. Once I discovered digital, I found it was very easy to incorporate into hybrid projects. I have been designing and learning the trade for 5 years now. It keeps me young and preserves all my memories big or small. And Laura would like to give one Lucky Duck a $25.00 shopping spree in her shop at MyMemories.com Design Shop! - And her WHOLE SHOP will be 35% off during her feature week!! So, check out ALL her kits - she's got some awesome stuff in her shop and remember - this week... it's ALL on sale, so don't miss your chance to stock up! Here's a great new kit to start with! Be sure to check here for last week's winner's who wins a $100 shopping spree in the Cat Designz Shop at MyMemories.com! So, if you are: Picxie - please send me an email to get the info you need to claim your goodies! Very sweet kit Laura ... love those colored clips! Have a great week and congratulations on guest of the week. Very pretty kit! Looking forward to browsing her shop here. Thank you so much for this post. I want to let you know that I posted a link to your blog in CBH Digital Scrapbooking Freebies (please, notice the new url for my blog), under the Page 3 post on Jul. 23, 2012. Thanks again. Love the kit, heading over to your shop now to check it out. Beautiful kit! I love the colors in your kits. Laura just love the simplistic beauty of your kits. And the colors are some of my favorites. My Memories has some much there. It is good they have these spotlights to introduce different artists. You have some wonderful kits. Love your style of designing. Beautiful kit, as are all your kits! I absolutely love your range of colors & creativity Laura. Thank you! Laura's stuff is so great!!! I love Laura's designs! Thank you so much for the chance to win! An awesome giveaway from an awesome designer! thanks so much for the chance! Just lovely! Thank you for the chance! Another beautiful kit! I love Laura's work, especially her vintage stuff. Thanks for the chance to win the $25 to her store! 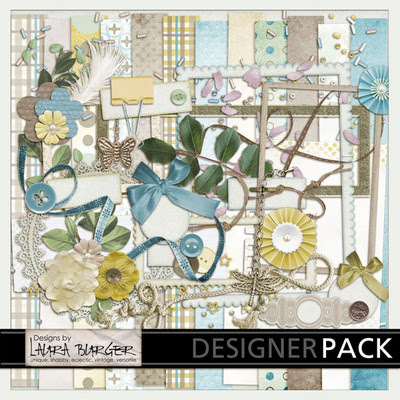 LOVE LOVE LOVE Laura Burger & I have a ton of her digital kits!!! What a great designer My Memories picked to showcase! Thanks for the opportunity to follow 2 of my favorite designers on one page!!! love your kits laura, especially Harvest Festival and Now Showing :) Thanks for the chance to win! Congrats Laura! Need any CT members? Let me know! It's good to know you a little bit more here and congratulations for being a featured designer this week. Thank you for a chance to win the price. I love your designs!